Preview images for the Star Trek: Discovery episode "Lethe"
“Lethe” is the title of tonight’s new episode of Star Trek: Discovery on CBS All Access and we have some preview images! The USS Discovery crew is intrigued by new addition, Lt. Ash Tyler. Sarek seeks Burnham’s help, rekindling memories from her past. Admiral Cornwell questions Lorca’s tactics. You can see the preview images below. You can subscribe to CBS All Access and be the first to watch new episodes of the Star Trek: Discovery series here. 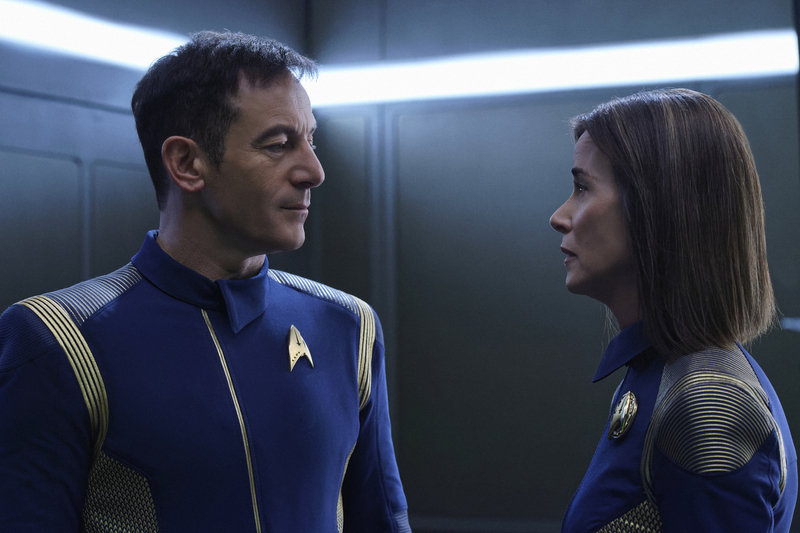 "Lethe" -- Episode 106 -- Pictured (l-r): Jason Isaacs as Captain Gabriel Lorca; Jayne Brook as Admiral Cornwell of the CBS All Access series STAR TREK: DISCOVERY. Photo Cr: Ben Mark Holzberg/CBS ÃÂ© 2017 CBS Interactive. All Rights Reserved.